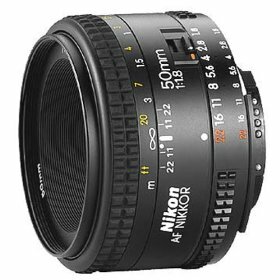 For the Nikon user, the Nikkor 50mm f/1.8 AF is one of the cheapest lens that is available out in the market. This is under the AF Nikkor line-up and costs under $200. This is because of the various cost-saving features that Nikon took in order to make such a lens very affordable. Even though Nikon was able to lower the cost, the optical quality was not compromised. Overall, this lens has a very good build given its inexpensive price. Although one of the concerns that some people might have about this particular lens is that its construction is mostly plastic. This does not however compromise the sturdiness and the mechanical construction of the lens. A good thing however is that the Nikkor 50mm f/1.8 sports is composed of a metal mount. This lens was able to retain the traditional stainless steel Nikkor F-mount that was used in its traditional film cameras. There are other complaints that people will find in the Nikkor 50mm f/1.8. One of these is that the bokeh of the lens is quite average and is not as good. The brilliant highlights that will come out when it is stopped down beyond f/5.6 is because of the hexagonal shape of the aperture. Another particular gripe is that the auto-focusing, albeit fast, is quite noisy. Other than that, the lens is very sharp at all of the apertures which is larger than f/2.8 from the center to the corner of the photographs. At f/1.8, the lens is quite acceptable. There is zero color infringement as well as any significant linear distortion. At the aperture f/1.8, the light falloff is not noticeable at all. This particular lens’s focusing ring does not rotate which is a very good feature for those who use filters along with this lens. Also, this lens, because of its plastic construction is quite light at 156g. Some people who have experience with heavier zooms might not be able to adjust accordingly because of the lightweight construction of the lens. The lens flare is not a problem since it is very well controlled and can be attributed to the recessed front element of the lens. The lens also needs the owner to practice with it because it requires a bit of practice in order to use this lens properly. If you do get this lens, spend enough time with it in order for you to be able to get the results that you want. Overall, this is quite a good lens but it is not the best lens at all if you are looking for a top of the line lens from Nikon. There are other lenses out there that might be able to give you a better feel. It is possible that you would feel more comfortable using a heavier and sturdier zoom lens with a bigger aperture instead of this. Bottom line is, try it out with your camera and give it a shot before finally deciding to purchase one. If you’re not happy with it, your money might be better reserved for something else.